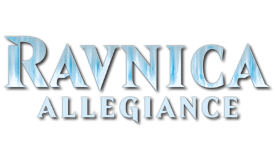 This Saturday the 19th and Sunday the 20th we will be hosting at Showcase Comics and Game in Bryn Mawr the pre-release event for Ravnica Allegiance. Both events start at noon. Registering at the event is $30. Pre-registering before hand is $25. We look forward to seeing you there.